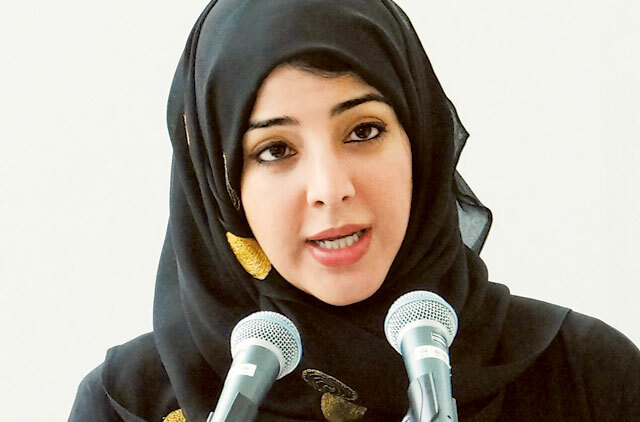 Her Excellency Reem Ebrahim Al Hashemi, UAE Minister of State, Board Representative of the Expo 2020 Dubai Higher Committee, and Director-General of the Bureau Dubai Expo 2020 talks to Gulf News about the upcoming mega-event Dubai is hosting. This question-and-answer segment is from an interview with the minister. ■■ Can you give us an update on what has been happening? The next five weeks mark the end of the first chapter in Dubai’s journey towards becoming the official host city for Expo 2020. In the last two years since the UAE won the bid to host the next World Exposition, we have been laying the foundations of what we are confident will be an exceptional World Expo. We built our team, and developed strategies on a range of areas. We have also finalised plans for an iconic Expo site, and identified the exhibits we plan to show the world when our gates open in October 2020. We’ve also begun the process of outreach and engagement. There have been a number of Expo-led events for the business community here in the UAE, as well as for young people.This programme will continue and intensify over the coming months. All of these developments were captured within our registration document, which will be ratified in Paris at the General Assembly of the Bureau International des Expositions (BIE) next month. With that formal process completed a new chapter will begin for the Expo, including construction on the site, engagement with participants and the ongoing development of exhibits. None of this would be taking place without the work which has gone on behind the scenes over the last two years. ■■ What have you taken away from the experience of the Expo in Milan? Over the past few months I, like many others from the UAE, was able to travel to Milan and see for myself the successful way in which Italy has hosted this event. It has been a very useful learning experience for the whole of the team which is working to deliver our own exceptional Expo. I was especially delighted to have had the opportunity to see the UAE Pavilion in Milan, which has been a great success. More than 1.1 million people have had the chance to visit the pavilion. I am particularly proud of our volunteers who represented the spirit of the UAE in the most incredible manner. They engaged with an international audience, and conveyed the essence of our nation to the world — a young, capable and dynamic country full of enthusiasm for the future and determination to succeed. 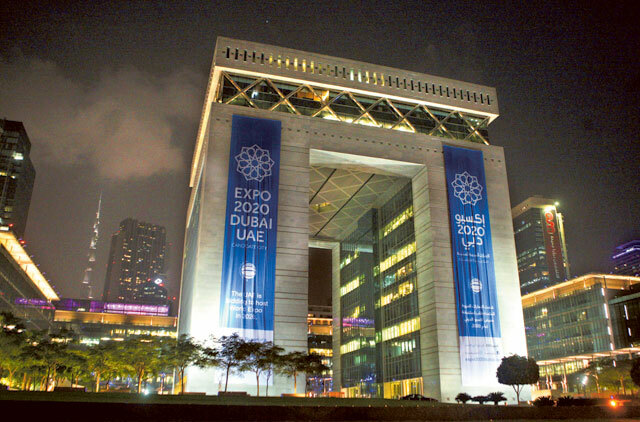 ■■ If Milan was about food, what is Expo 2020 Dubai going to be about? Our Expo is about the future, and our shared stake in it. In short, it is about the power of connections. Today’s challenges are too complex to solve in isolation. Tomorrow’s solutions require the creativity, competence and inventiveness of us all. That’s what our Expo will embody. We are building Dubai’s Expo around a single phrase: “Connecting Minds, Creating the Future”, our theme, and further expanding that thought into the ideas of: “Opportunity, Mobility and Sustainability”, our sub-themes. ■■ Who will the Expo be for? Our Expo will offer something meaningful for everyone. We want it to be a truly global and inclusive Expo. The logo competition, which kicked off in March of this year, fully reflects that commitment. Response to our request for submissions was extraordinarily high. Some 19,000 UAE residents helped us design the logo. They were determined to contribute your thoughts to our collective efforts — constructing an emblem that would express Expo 2020 and impress the world. Such a high level of participation — possibly without global precedent — has made the work of scrutinising and selecting the final design so much more rewarding. It’s that popular response to Expo, and that desire to be a part of it, which makesthis event unique. We want to honour that response by ensuring that the launch of our new logo is not part of another Expo milestone, but a major step in its own right. This will take place in early 2016. For six months in 2020 the UAE will have the power to convene the world; to bring people together — forge new connections — and share new ideas that have the potential to help improve the future for everyone, from everywhere. That’s a great responsibility for us, as the first nation from the Middle East, Africa and South Asia region to host a World Expo. It is a fitting tribute to the vision of our Founders that the nation they created will celebrate its Golden Jubilee during the period of the Expo. ■■ What are you doing for business? We are building a World Expo here in the UAE. So whilst it will be global in scope, scale and participation, it will also be an Expo that is by our Nation, and for our Nation. Our engagement with the business community began in earnest during April this year, when we hosted a number of the leading corporations at an event and outlined our vision for Expo. Then in early September, we launched BusinessConnect, a series of workshops to engage the business community and inform our thinking. and deliver on this Expo. They are our full partners, and there are many ways in which they can participate and support as we move beyond envisioning the Expo site into the stages of design, delivery, operations and, ultimately, to the point where we leave behind a sustainable legacy. The first point of contact for any business which wants to join us on this journey is our ‘eSourcing portal’ where companies can register to see tenders and respond to them. ■■ What can we look forward to over the next few months? A new chapter is beginning in our Expo story; the start of two parallel journeys. The building out and building up of our site in Dubai South, where ground will be broken following November’s ratification; and the selection and formulation of the messages and live exhibits that visitors will see and experience when we open our doors in 2020. On 20th October our five-year countdown begins. We hope everyone will accompany us on a journey that will be shared by the nations of the world and treasured by the people of the UAE.